Sauerkraut & Tofuwurst: Waffle time! Today was an extremely busy day! 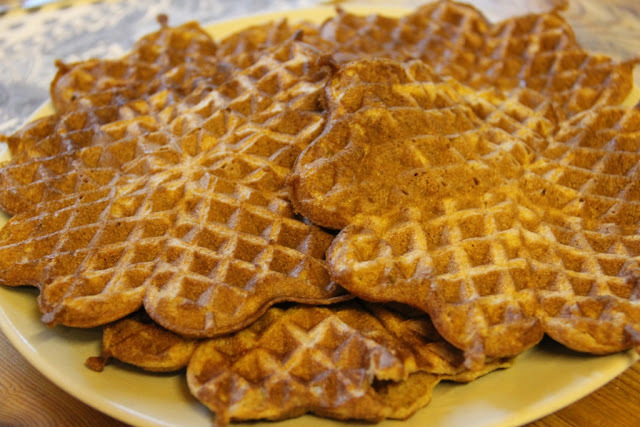 We've been heavily working to get things sold and organised for tomorrows fleamarket and because of this huge stress I desided to reward us with some really delicious waffles :) So here's my recipe for really easy and quick snack. Combine all the dry ingredients and add in the wet. Stir well and let stand about 30 min. Fry in a hot waffle iron or use a frying pan to make crepes. 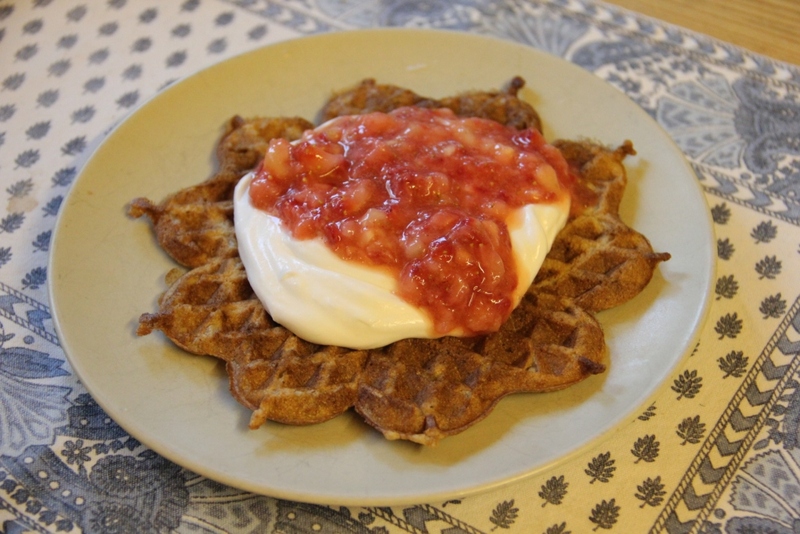 Enjoy for example with whipped oat cream and smashed strawberries and bananas.